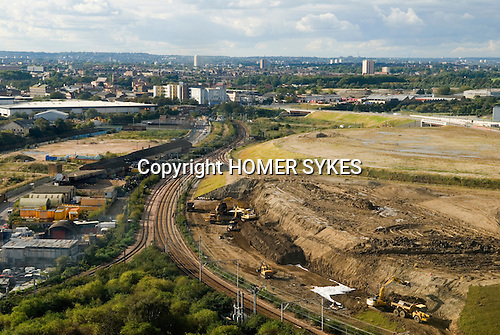 Looking down and northwards onto the proposed east London the site of the 2012 Olympic Games, village and arena. Carpenter road and industrial area. Stratford, England 2006.